Fletcher/Copenhaver Fine Art deals in 19th through 21st century American and European fine art, with an emphasis on modern figural art of the 20th and 21st centuries. We are pleased to offer a great variety of significant works of art in a wide price range, for both the seasoned and the beginning collector. We exhibit in a number of major charity antique and design shows and work with collectors, designers, and museums, offering well-documented art of high quality and with excellent provenance. We provide a highly personalized service to our customers in helping them to select, learn about, and display their collections. All paintings and works on paper presented by Fletcher Copenhaver Fine Art are beautifully and appropriately framed to museum standards. Works on paper are framed using all acid-free materials and either Conservation Clear™ or Museum Glass™ to protect them from the harmful effects of light. 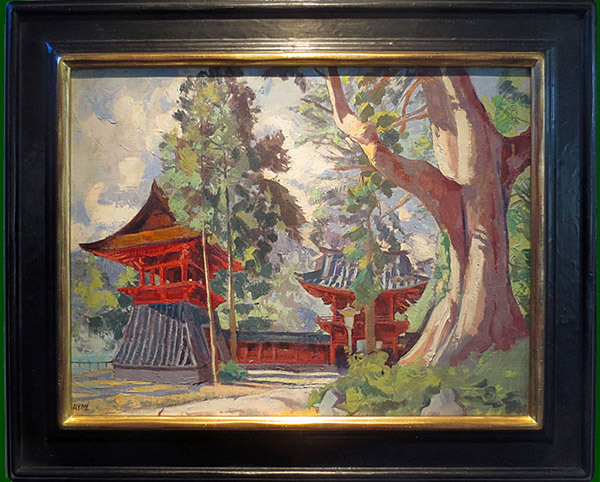 We have curated two museum exhibitions of the major American figurative artist Moses Soyer (1899-1974) and helped organize the first American museum exhibition of the remarkable French artist Alix Aymé (1894-1989) at the Evergreen Museum & Library of Johns Hopkins University in Maryland. All items may be purchased from this website by credit card. Click on the image of the artwork, then follow link to the secure payment form.